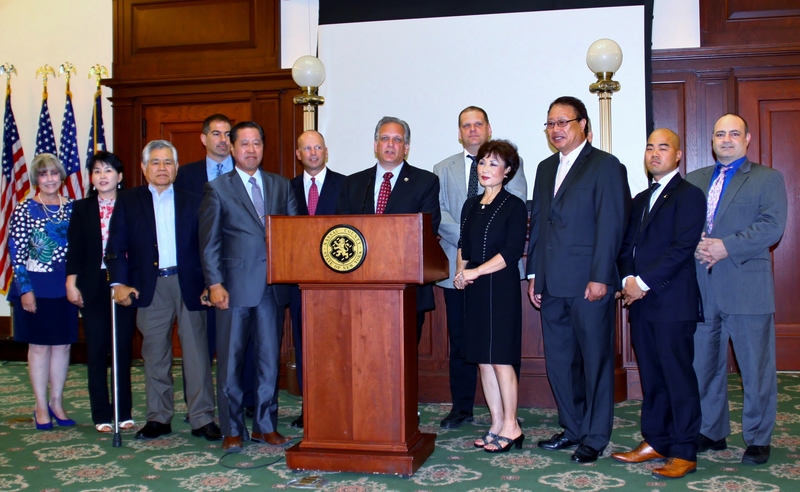 Mineola, NY– On Tuesday September 29, 2015, Nassau County Executive Edward Mangano held a Press Conference with the New York Open Tae Kwon Do Championship and Korean Cultural Festival Organizing Committee to declare Saturday October 17, 2015 “Tae Kwon Do Day” in Nassau County. 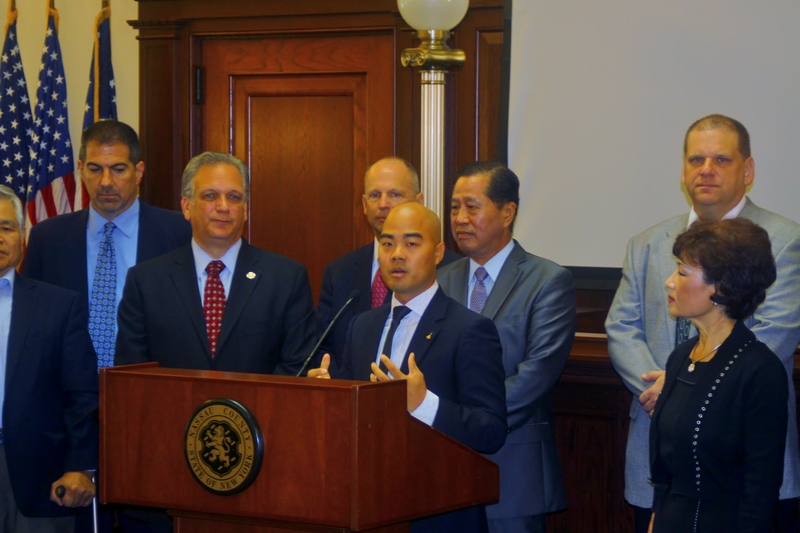 On October 17th Nassau County will jointly host one of the largest Tae Kwon Do championship tournaments in the country at the Butler Building at Mitchel Field. This event also serves as a Korean Cultural Festival and a Charity fundraiser. 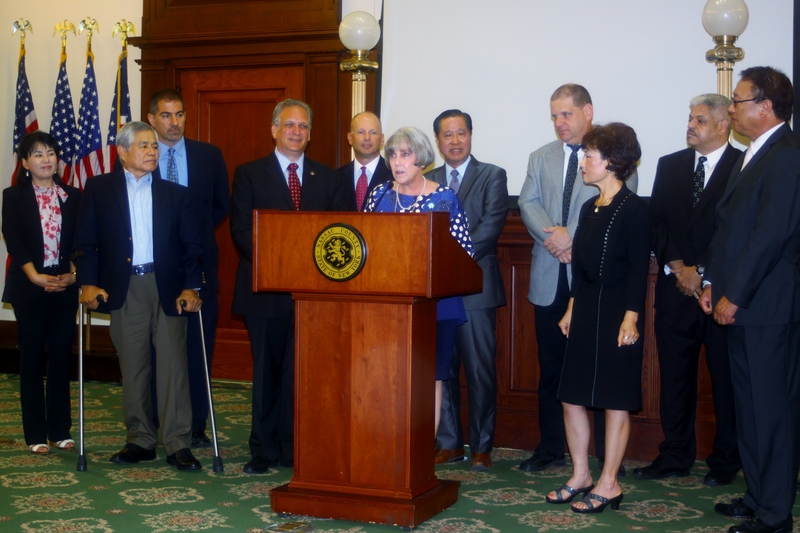 This year’s recipient will be the Girl Scouts of Nassau County. The Director of the Girl Scouts was on hand to acknowledge the selection of the Girl Scouts as the charitable recipient. 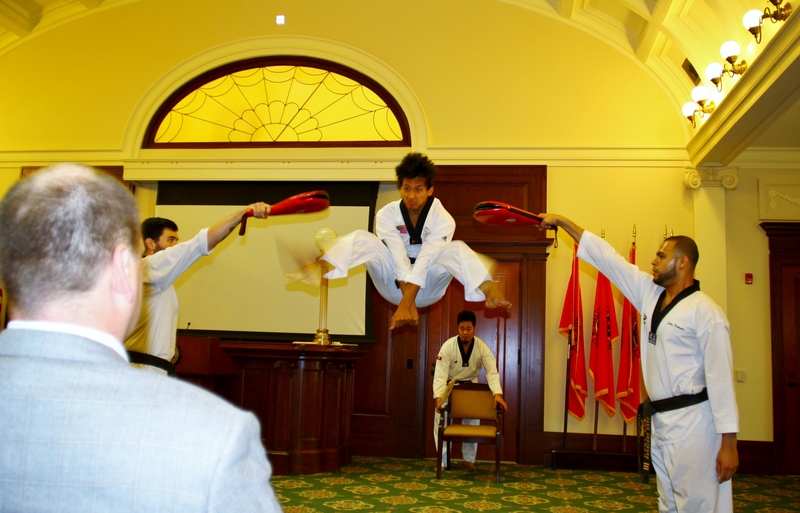 The Press Conference concluded with a high level Tae Kwon Do Demonstration courtesy of the YH Park Taekwondo Academy Demonstration Team, who will be competing at the event. 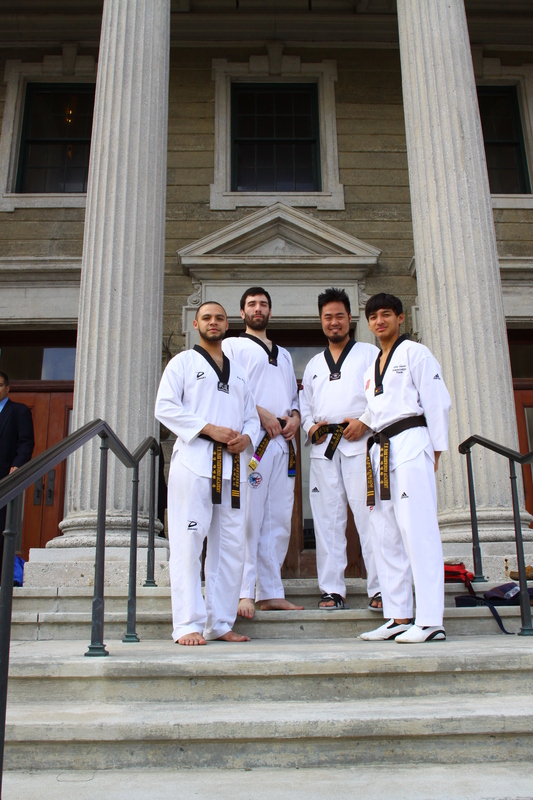 Photos are courtesy of James C. Haxton, Tae Kwon Life Magazine Staff Photographer.